Fed up with eBay fees? Wish there was a better way to sell? Reena Sewraz looks at the alternatives. It’s getting harder to sell your stuff and make money on eBay. Over the last couple of years the popular online marketplace has introduced fees on postage, cut the number of free listings sellers get and hiked a number of optional listing fees. So, we've decided to have a look at some of the alternatives on offer that can help you boost your income. Craig Newmark founded Craigslist in San Francisco in 1995. The site allows a community of users to post free classified ads for all sorts of things from jobs to goods on one of 700 local sites in over 70 countries. Fees and postage: Craigslist offers nearly all its features for free, making it a perfect alternative to eBay! The site makes money through employers listing their job ads rather than people listing and selling their goods. In most cases you won’t even have to bother with postage as the site is geared towards people selling to each other locally. Payment system: Transactions tend to be face-to-face, so there are no processing fees. Verdict: The simplistic user interface is a bit archaic, but Craigslist is a hugely popular destination for users (it gets more than 50 billion page views a month) and is sure to get you a tidy profit on anything you decide to sell. Best of all no one gets a cut apart from you! Preloved is a great alternative to eBay to get rid of your unwanted stuff. There are no fees for basic membership, just free classified ads helping people turn clutter into cash. The website has been around since 1998 and has grown to become the second most visited classifieds website in the UK. It has over 11 million visitors each month and 1.7 million active users. Fees and postage: Individual sellers can choose between three membership tiers. The free account allows unlimited adverts, but you can only upload one photo and be hit with ads. The Full membership costs £5 a year and is good for regular buyers and sellers. You will get to place unlimited adverts and include as many photos as you like. The Premium membership costs £15 a year and comes with extra features like priority placement of your listings and browsing without ads. There are also two tiers of membership for businesses. Small businesses pay £20 a month plus VAT which allows advertisers to have up to 40 adverts live on the site at any one time. Or there’s the Business Unlimited option for £45 a month plus VAT which allows unlimited adverts. You don’t have to charge postage as people will pick the goods up if they are close by. Payment system: Like other ad websites you get cash in hand, which is free of fees and means you get paid as soon as you hand over the goods. However, you can use PayPal if you prefer, which comes with its own fees. Verdict: This website is more visually pleasing than rival classified ad sites like Craigslist and with no listing costs on the free membership tier it’s a worthy rival to eBay. eBid is an online auction site, which launched in 1999. Today it operates in 23 countries allowing people to buy and sell for free. It operates a reward system that means members can earn Buddy Points every time they buy, sell or enlist new members. The points can be used in special Buddy Auctions run by eBid. Fees and postage: eBid doesn’t have any transaction fees for casual sellers but charges a final value fee of 3% and only allows you to upload one photo. Extra photos are 3p each and other upgrade features costs between 4p and 10p. Read more about eBid fees and charges. Seller+ membership means you won’t have to pay a final value fee (but there’s a 2% fee on Gallery auctions), gives 15 free photos and access to features like BuyNow and scheduled starting times. Membership costs £1.99 for seven days, £6.99 for 30 days, £16.99 for 90 days or £54.99 for a year. Alternatively, you can get lifetime membership if you upgrade straight away for £49.99 (special offer down from £99.98). Payment system: eBid uses PPPay to allow for buyers to pay in euros and sterling, which charges 3.3% + 10p or 20p, although members are not restricted to using this form of payment. There’s also the option to use Paypal and Skrill (Moneybookers). Verdict: eBid is a major rival to eBay and is much cheaper to use for everyday sellers. It’s worth giving a go and building up reward points to benefit even more. Gumtree is a classified ad site formed in 2000 by Simon Crookall and Michael Pennington who wanted to help new arrivals in London find somewhere to live and work. In a surprise move eBay bought Gumtree in 2005, as it grew in popularity and became a destination for others to post ads for free. Now it’s the UK’s biggest classified ads site with 16.4 million unique visitors a month. Fees and postage: Despite eBay owning the business, Gumtree has remained largely free. Employers listing jobs will pay a fee but not individual sellers. All photos are absolutely free and you can post up to nine per ad. However, a lot of the features attract fees like including a link to your website (£5), promoting your add (up to £19.95) Buyers are expected to be local and be able to pick goods up so you shouldn’t have to bother with postage. Verdict: Gumtree is another viable alternative to eBay. It has a large user base and is completely fee free in most circumstances, plus a new website launched in 2014 has made it much easier and more enjoyable to use. Like eBay but with a bit of soul, Etsy is an online marketplace that allows people around the world to buy and sell unique goods. Everything sold on the website has to be either handmade, vintage or a craft supply. Etsy was established in 2005 by Rob Kalin, who wanted a place to sell his various creations, and now has over 28.6 million active buyers and 1.7 million active sellers. Fees and postage: Each listing on Etsy costs $0.20 or 15p. If your listing doesn’t sell after four months, you can pay 15p to renew it. There’s also a 3.5% final sale fee charge on the final selling price of the item (excluding taxes and postage) and there are other fees if you want to advertise the listing. Here's a full breakdown of Etsy’s fees and charges. Payment system: You can take payments through Etsy Payments which is Etsy’s own processing system. Charges apply on the total you receive from the customer which for UK sellers is 4% + 0.20%. Verdict: Etsy is a more affordable platform for sellers, but will only really suit those that make their own stuff or have a collection of vintage items to sell rather than one-time sellers with some clutter to get rid of. ASOS was originally called As Seen On Screen, selling celebrity-inspired products back in 2000. Now it’s one of the most successful online fashion retailers around, with 15.4 million active customers. In 2010 it launched ASOS Marketplace which enables people to sell new, pre-owned and vintage fashion worldwide. Until very recently it allowed what it called ‘Wardrobe Sellers’ for individuals as well as ‘Boutiques’ which are for businesses to sell. But in June 2014 the option for individual sellers was removed. So ASOS Marketplace is only really an alternative if you are willing to pay the fees to open a boutique. Fees and postage: A Boutique account costs £20 a month, but gets you unlimited free listings (minimum 10 listings), an online shop front you can customise, and an account manager. ASOS takes a 20% cut of each sale. Payment system: ASOS Marketplace uses PayPal for secure transactions. You will be billed monthly from this account and will be liable to PayPal processing fees as well. Verdict: It’s unfortunate that ASOS Marketplace no longer caters for the individual seller as it’s a great platform to reach a wide audience. You need to apply to be a Boutique and meet certain standards on the photos and what you sell before being accepted, so this is not really a viable option for those just looking to raise cash from a clear out. FREECYCLE is a worldwide movement made up of individual community groups across the globe where people can come together to give (and get) stuff for free. The idea is to reduce the amount of waste we produce by matching and connecting people who are throwing away goods with others who might have a use for them. The first UK FREECYCLE group was set up in London in October 2003 and today there are over 5,000 groups spread across the world with over nine million members. Fees and postage: Listings are absolutely free and come through to subscribers on group emails. You shouldn’t have to worry about postage as users should be local and can come pick up the goods. Payment system: Absolutely no money is involved just postings of items and responses from people interested in the community. Verdict: You won’t make any money using Freecycle, but you do get to get rid of unwanted items that may not sell well on an auction site like eBay (old TVs, bedding, top soil) for free. Music Magpie is a free service that makes it easy to de-clutter and raise cash. Instead of an auction the website offers you a price to trade in your unwanted goods and takes CDs, DVDs, books , LEGO or games as well as smartphones and tablets. Fees and postage: You don’t have to pay anything to use this service. Music Magpie even offers free postage labels to get your goods to its offices. Payment system: You can be paid by bank transfer, cheque or are offered the option to donate your earnings to charity. Verdict: Music Magpie has made it very easy to de-clutter if you’re not worried about how much you get. Trade-in values tend to be low (more pence than pounds) and you need at least 10 items to get started. You’ll also have to wait for items to reach Music Magpie HQ and then go through quality assessment. So, the price quoted may be lower than expected if the quality of items is poor. Read Selling DVDs: Music Magpie versus the competition for an in-depth comparison against rivals like Ziffit, Zapper, CeX, WebuyDVDs and Momox. Zapper is a rival trade-in website that buys books, CDs, DVDs, games, mobiles, electronics, LEGO and even gift cards. 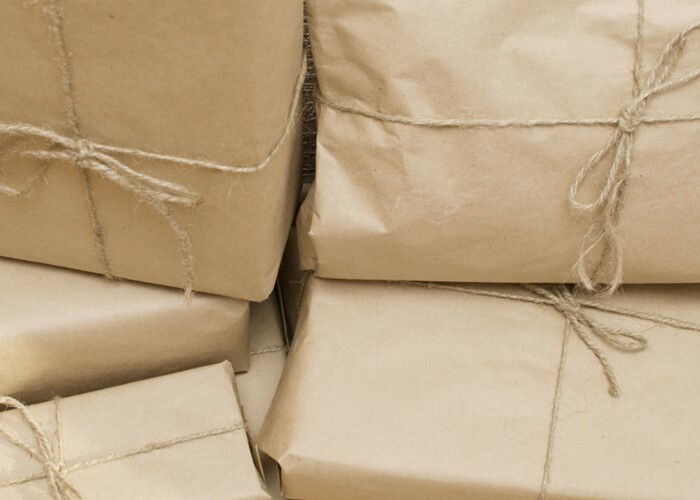 Fees and postage: It’s completely free to use and you can send items off free of charge. Payment system: You can be paid by bank transfer, PayPal or cheque. Verdict: Zapper offers a quick and effortless way to get rid of clutter, as long as you’re not too worried about what you get. Trade-in values won’t be as good as what you could get selling on eBay and you’ll need to build up a minimum of £10-worth of items to make a trade. Ziffit is another website offering instant trade-ins accepting books, CDs, DVDs and games. Fees and postage: It’s completely free to use and you can send items off free of charge or get a courier to come and collect them from your home. Payment system: You can choose to get paid by bank, PayPal or instant cash voucher. Verdict: Ziffit can help you declutter quickly, but you should compare what you get with MusicMagpie and Zapper to ensure you are getting the best price for your stuff. There are a growing number of websites like Envirofone and Mazuma Mobile offering to pay you cash in exchange for your old phone. Using this method instead of eBay saves you the hassle of creating a listing, waiting for auctions to end and shelling out for the associated fees. Smartphones tend to go for hundreds of pounds so the eBay fees can really eat into any profit you make. eBay takes a 10% cut capped at £250 on final sales including the postage. You can see what you could get for your old handset on a recycling website using comparemymobile.com. Fees and postage: There are no fees for selling your mobile phone using these websites and most offer free postage labels and even packaging to send off your device. Payment system: Many sites offer to pay you by bank transfer, cheques or PayPal. In some cases, you can get a higher value offer if you choose to accept vouchers for places like Argos or Debenhams or points instead of cash. Verdict: You can sell your old mobile quickly and hassle-free. You can also be fairly sure of what you will get for it as long as you describe it accurately during the initial online process. Shpock, short for SHop in your POCKet, is a boot sale app launched by Austrian entrepreneurs Armin Strbac and Katherina Klausberger. It offers people a platform to buy, sell or give away unwanted "beautiful things" in your local area. The app launched in the UK in 2014 and is quickly becoming a popular selling platform for people looking for a cheap eBay alternative. Read more in: Shpock: boot sale app to rival eBay and Gumtree. Fees and postage: Shpock is free to use and doesn’t charge any listing or transaction fees. It just has optional charges for extra features that can help promote an item which ranges from 50p to £13.99. Payment system: Delivery and payment are up to you. You can choose to have items picked up and get cash in hand or arrange for the item to be delivered and get paid via PayPal which has its own fees. Verdict: Shpock is a great alternative to eBay with no fees on sales and has a very user-friendly system well worth a try if you’re serious about ditching eBay. Before the internet, many used local jumble or car boot sales to declutter. These events are fun, cheap and an effective way to shift a lot of stuff quickly. You can use Carbootjunction.com to find details of upcoming sales near you or keep an eye out in your local area. Fees and postage: The only fee you are likely to encounter is a small entrance charge ranging from £1-£10 for getting a space at the event, which you should be able to recoup in your first few sales. Payment system: Cash-in-hand means zero handling costs and maximum profit for you. Verdict: You can de-clutter loads of items in one morning or afternoon. You won’t have to spend ages listing each item and there’s no waiting around for an auction to end or money to reach your account. However, buyers that attend these sales tend to be more ruthless than your typical online bargain hunter. Be prepared to haggle and sell items for much less than it would fetch online. Read How to be successful at a car boot sale for some tips to maximise your profits.